Peter Cubis was presented with Life Membership of the Banyo Bloods today at the annual reunion of the iconic north Brisbane club at the Breakfast Creek Hotel, the old club’s favourite watering hole. Even though the Bloods were consigned to history in 1993 after twenty four mostly successful years, the memory of the club lives on strongly in many individuals who represented the red and white during their reign. Peter Cubis was there almost from the start when the club was formed by a group of Mayne players who wanted to provide another option for loyal and talented Tigers who were missing out on the very strong Mayne Seniors and Reserves teams of the day. Peter was recruited in 1972 to coach the Bloods after having a very successful record at Mayne. He had been Captain of the Mayne Colts in 1968 taking out the Clem Ryan Medal for the Best and Fairest in the league for that year. He was a talented rover with first grade experience with a keen understanding of the game. In fairytale fashion, Cubis led the Bloods to their first premiership that year and became a Banyo Blood forever. He backed up the next year to Captain Coach the Bloods to beat the Wynnum Vikings once again in the 1973 Grand Final. 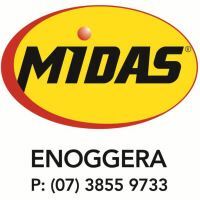 He was a member of the Bloods 1975 Premiership team coached by Alan Walters and went on to Coach the Reserves from 1978 to 1980, the year in which they won the flag. In a club where the players really took ownership of their destiny, Peter also served as Club President in 1976 at 26 years of age and for a further period in 1980 and 1981. As well as coaching and playing, he performed numerous other critical roles for the club over the years to keep the colours flying and if anyone talks about the Bloods, his name will always be one of the first to be recalled. It would seem that an administrative mishap was the reason that Peter had not been awarded the much deserved honour of Life Membership before the club kicked their last goal. 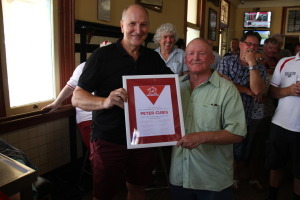 A group of diehard Banyo Bloods led by lifelong friend and blood brother Rod Judd recently came together to right the wrong in front of his peers and today presented Peter with an Honorary Life Membership recognising him for his loyal and meritorious service to this proud club whose memory still lives on with many players who battled for or against the Mighty Banyo Bloods.